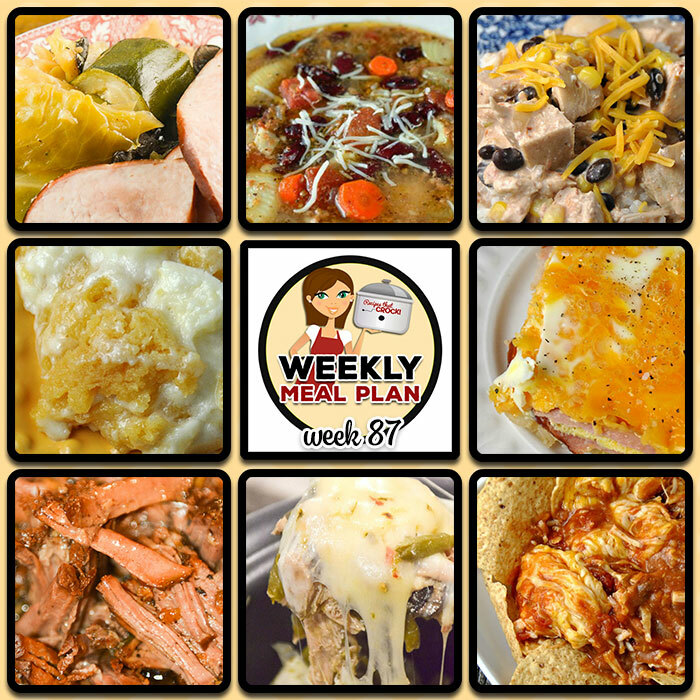 Meal Planning: Weekly Crock Pot Menu 87 - Recipes That Crock! 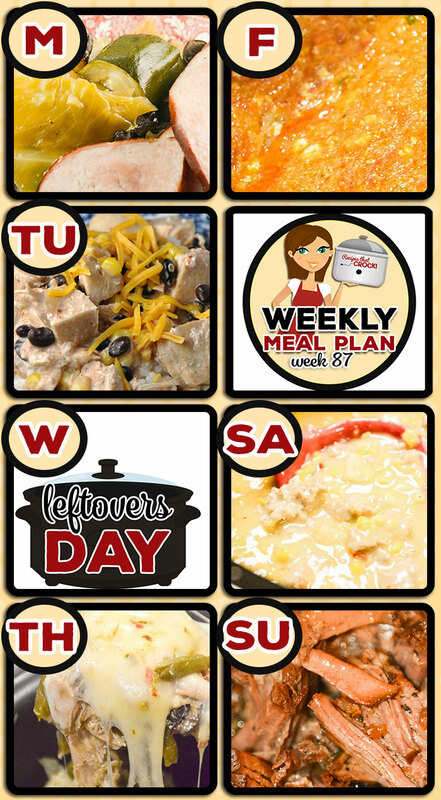 This week’s weekly menu features Crock Pot Ham Steak Dinner, Crock Pot Azteca Chicken, Crock Pot Minestrone Soup, Crock Pot Pepper Jack Chicken, Crock Pot Unstuffed Cabbage Casserole, Crock Pot Sausage Corn Chowder, Crock Pot Balsamic Roast, Crock Pot Broccoli Cheese Casserole, Crock Pot Cream Cheese Cookie Spoon Cake, Crock Pot Nacho Chicken Dip and Crock Pot Bacon Egg Breakfast Pie. I tried the Cheesy Potatoe Casserole in my Casserole crock but grabbed the tater tots instead of the hash browns, Was just great and We loved it. So I am going to try this recipe once more with the cubed potatoes. Sometimes a small error results in a new favorite.